Do not book through this company as the price is cheaper booking direct! My adult daughter and I stayed at the Cairn for a weekend of shopping at the Country Living Christmas fair and indulgence: the Turkish Baths, Betty's for afternoon tea and the Drum and Monkey sea-food restaurant. The Carin was convenient for all of those, and I really appreciated being able to safely park the car at the hotel and leave it there for a whole weekend. I asked for a twin room and we had a large triple bedded room which was great. there were biscuits as well as plenty of teas and coffees provided, and the hotel was comfortable and clean, even if some areas at the back had seen better days on the outside of the hotel. The staff were unfailingly helpful, friendly and polite - and we really enjoyed our stay. Slightly faded grandeur greets the traveler at this large and well appointed 19th century hotel. The staff are attentive and charming, the room was clean spacious and comfortable- though the furniture was dated the bed was large and comfy with good linen, and the en-suite bathroom was larger than usual and fully tiled. Breakfast was first rate and all in all, we were very well looked after and enjoyed our stay. As a couple booked for one night at the Cairn Hotel , we were delighted with our very spacious room (superior twin-bed) with a lovely bay-window and view over the fields a the back, ideal to sit and read the papers: a very quiet location, yet 10 minutes on foot from the busy centre of Harrogate (Betty's, restaurants, cafés, etc.). 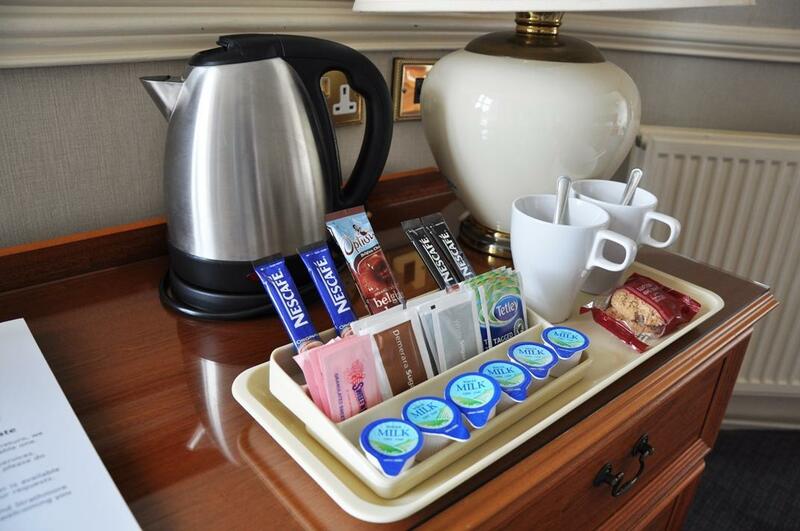 The staff were friendly and helpful, we asked for extra milk and tea for our room and got it immediately, the breakfast excellent and included in the price of our night stay, which compared more than favourably with the other big hotels locally. We'll definitely be back at the Cairn and would recommend it to anyone who wants a good, traditional hotel with pleasant staff, good breakfast and free parking. Pros. Good value for money. Good breakfast. With lots of hot and cold variety. Our waiter was helpful and funny. Walking distance to town, with good restaurants and bars. Con. Rooms very warm. Due to old building you couldnt open window very much. But went down to ask for can. They bought one up to room straight away. Would recommend and would stay here again without hesitation !!! Thanks to all! It was refreshingly traditional, without the all encompassing modern transformations a lot of hotels have these days, making them impersonal and uninteresting. We like the lovely curtains and country house feel - home from home. The staff were obviously well trained and excellent, and the food was good and reasonably priced. In fact we had all our meals in the hotel which was great after busy days trailing Round the Gift Exhibition. We shall definitely be returning next year! I ordered the club package ( wine, dressing gown, toiletries etc.) as a surprise for my hubby, we turned up and there was nothing in the room, I went to reception and they were very helpful, a package was sent straight away, Thank you, Next day, no basket of goodies again so phoned reception, they sent bottle of wine only so reported it again, this time the basket arrived with extra water and sweets but only half the toiletries and lots of apologies. The hotel is lovely, some comments have said dated but i love that, i call it character and original fitting, the room was immaculate and very big, love it, The staff very friendly and helpful, We would go back again. Great location, very helpful staff and a huge breakfast! The room was very spacious and clean. The Cairn is looking very dated but everything else about it is first class We prefer it to some of the more modern hotels. Nice “old” hotel but with lots of character. Ideal location just five minutes downhill into town. Plenty parking space and easy to locate. Breakfast included in price was very nice. Staff were lovely other than one night we asked at reception for some ice, only for my wife to be told, very condescendingly that you pay for ice madam. Afraid I wouldn’t pay for frozen water. Our final morning we we were woken at 6.40 with a fire alarm and then fire engines. It appears that some customer must have been smoking in a room, very inconsiderate to other guests. However this did not spoil our three days at the Cairn and would certainly book again. 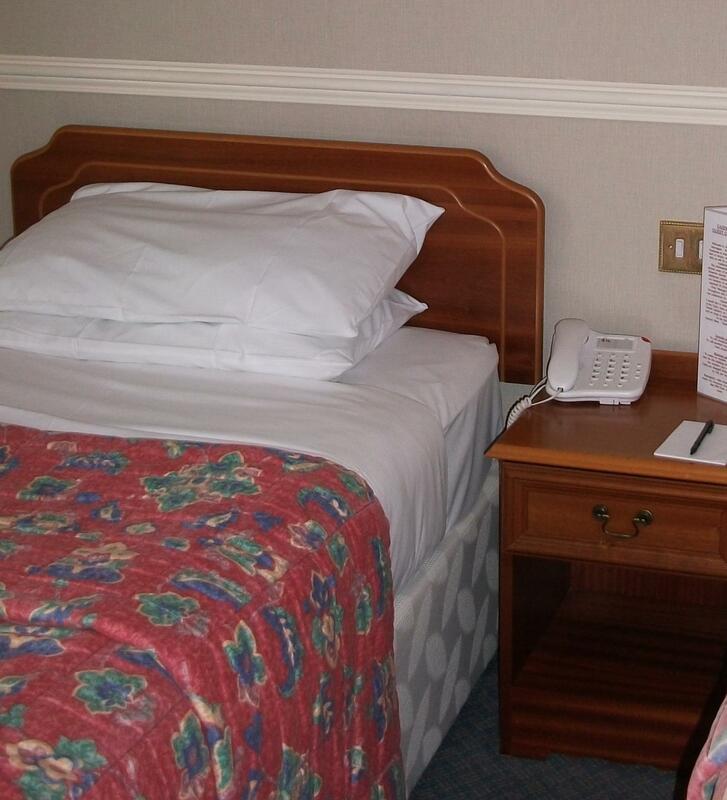 Very good hotel, easy to get to just off the main road with ample free parking friendly staff and bedroom very clean with comfortable beds and tea and coffee making facilities. We went into town for evening meal but did have breakfast in the hotel which was very plentiful with options for all tastes. A lovely hotel, friendly and professional staff, breakfast was very good, everything clean and tidy, is getting close to refurbishment time but that is the only very small criticism, free parking and location a bonus, would certainly recommend, and visit again. In great location 5 mins walk to the centre. We were so su r prised how good this hotel was as we booked last minute. We were staying just for the one night and had fantastic breakfast. Excellent staff. We were delighted with the reception, bar food excellent breakfast in restaurant really good. Our room and bathroom were immaculate the only downside for me was the shower over bath - I require a walk-in shower. For one night excellent would go back for longer. Excellent value. This is in a fabulous location, easy to get to. So close to the centre of Harrogate. 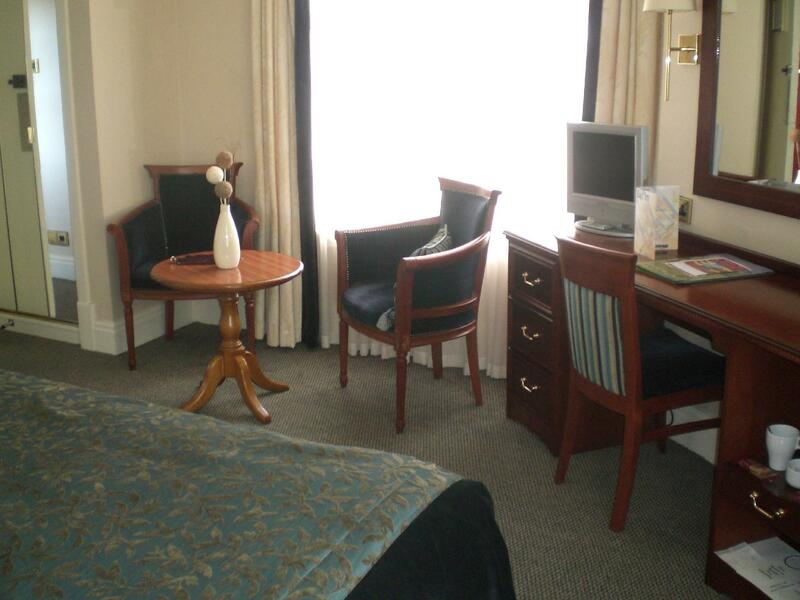 The rooms are adequate, clean and tidy, great value for money. only negative is the lack of powered sockets and a little dated. The breakfast is plenty for and very tasty. We have stayed here before and it didn't disappoint again. There is a huge car park and it's a very easy walk to Harrogate . The set meal in the hotel (carvery) is excellent value but there is also a lovely Italian just further down the road which is superb . All the staff here are very friendly and the hotel has lots of old world charm (some areas could do with a paint up but this did not bother me as work seems to be on going ) . There are vast grounds and seating areas outside and stylish lounge areas with a well stocked bar. The ambience of the place is good . For the amount we paid on this site it represented a fantastic deal . This is the third time I have stayed at the Cairn, the first being in 1984. The only criticism I would make is the long wait to check in, obviously lots of us arrived together. Once checked in, everything was fine. This hotel has a lot of history to it. It dates back to the 1890s. Lots of old photos dotted about the hotel. My single room was of good size and had large bathroom. Outside beer garden was lovely as weather was very good. Breakfast was the usual you get in hotels. All the staff I had contact with were very helpful and friendly.